Layoffs and massive losses loom. Uber, which has lost $3 billion last year and has gotten itself into a thicket of intractable issues and scandals that cost founder and CEO Travis Kalanick his job, is now facing a subprime auto-leasing crisis. Unlike most multi-year leases that have high fees for early termination, drivers who participate in Xchange for at least 30 days will be able to return the car with only two weeks notice, and limited additional costs. The program allows for unlimited mileage and the option to lease a used car, with routine maintenance also included. It wasn’t supposed to be a money maker – nothing at Uber is. But hey. And the company invested $600 million in the business, “people familiar with the matter” told the Wall Street Journal. But Uber is different. It defies the laws of economics. Or so it thought at the time. The Xchange Leasing division had been estimating modest losses of around $500 per auto on average, these people said. But managers recently informed Uber executives that the losses were actually about $9,000 per car — about half the sticker price of a typical leased vehicle. The “unlimited miles” allowed drivers to work long days and return vehicles with way too many miles, which kills the resale value. Also, if drivers got frustrated with their pay and quit their gig and returned the vehicle, the car might be 7 months old and have 20,000 miles on it, and be worth only a fraction of Uber’s depreciated book value of the car. In the overall subprime auto loan segment, defaults are soaring. And Uber wasn’t spared. So costly repossessions hammered the program, these people told The Journal. Due to the breath-taking losses from this subprime leasing enterprise — $9,000 per car on average! — the executives agreed to shut it down. The numbers are big. Uber has titles to nearly 40,000 vehicles through Xchange Leasing. It now has to get the cars back from its drivers and sell them in the wholesale market. It wants to do most of this by year-end. If Uber loses $9,000 per car on average on these 40,000 cars, it will add another $360 million in losses on top of the losses it has already booked. If it sells the subprime leasing business, which is another option, it will likely pick up a similar loss because buyers of those assets will look at the same scenario. And layoffs loom. Up to 500 employees could be affected by the shutdown of Xchange Leasing, or about 3% of the 15,000 Uber employees. Some people might be transferred to other departments, such as customer service, the people said. 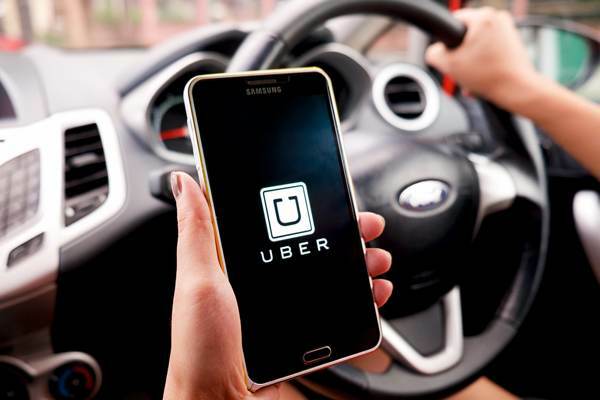 To fund these leases, Uber obtained a credit facility of $1 billion last year from a consortium of banks including Goldman Sachs, J.P. Morgan Chase, Citigroup, and Morgan Stanley. A 2014 Toyota Corolla was recently being offered for a term of 130 weeks at $122 a week, totaling roughly $500 a month, according to marketing materials distributed by Uber. This type of lease allows 1,000 miles a month of driving. That’s barely enough for a working stiff to commute to work. But it’s not enough for an Uber driver, working 14-hour shifts to pay for the lease and have some money left over for rent. Uber also found that dealers, according to The Journal, “were pushing drivers into more expensive vehicles, lowering their likelihood of turning a profit.” Duh. That’s what dealers do. It’s called “upselling.” Didn’t anyone tell the Uber wunderkinder? So Uber hired a bunch of people, set up showrooms, and did the leasing in-house to get a better handle on it. With stellar results. When a company undercuts competition – such as by massively if unknowingly subsidizing the cost of vehicles – and investors don’t care that their money is getting burned at lightning speed, executives have no reason to change course. For them, all that matters is dominating the market no matter what the costs, and that’s happening at a stunning pace.